If you plan on fishing for monster fish inshore then you need to make sure you have the strength and stopping power to get the job done. 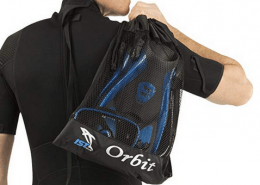 It’s vital you make sure that you have the right equipment for the task at hand. That’s why you should always make sure the gear you bring with you can withstand the rigors and abuse the these big fish will put them through. These reels need to be strong while also allowing the angler to have full control when it comes to casting and jigging. These fish hit hard and fast, your gear has to be able take these hits time and time again, and keep on going. Not only that but these reels need to be completely corrosion resistant. We all know the damage saltwater can do, you need to make sure your reels with withstand the abuse years of saltwater can bring. If you’re looking for an inshore saltwater fishing reel then you’ve come to the right place. Here’s our picks for the top inshore spinning reels for the money in 2019. Add pure power and super smooth control to your saltwater arsenal with this quiet and attractive offering from the reliable KastKing brand. This versatile reel will combines the power to land trophy saltwater fish with a buttery smooth feel. 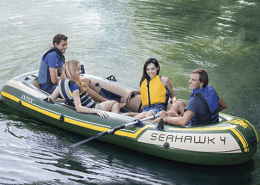 The sleek design is eye catching, but the reinforced graphite body and rotor take care of business with the even the toughest inshore species. 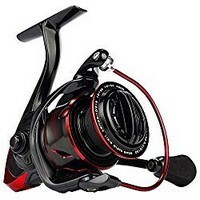 This reel has more premium features than other brands, including unparalleled water resistant design that protects the mechanism from water and dirt, along with and saltwater rated ball bearings. 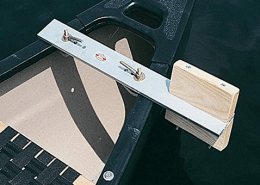 Every feature you could ever want is included; instant lock anti-reverse, stainless steel construction, and high fishing line capacity. Rarely does a reel function well with both lighter and heavier baits and lines, but the Sharkey III can be used for a wide range of fishing styles and size of lure or target species. Whether you need to rip lures quickly through the mangroves for snook and tarpon, land redfish on live bait, or even score a trophy musky in freshwater, this light spinner will deliver performance along with the strength to pull in a trophy. This is the choice for a high quality, go to spinning reel for light saltwater action. 39.5LB /18KG triple carbon fiber disk drag combined with stainless steel and manganese construction main shaft and pinion gears create a super powerful system. K.I.S.S design system which protects the gears from dirt and water wear. Braid ready spooling gives you the ability for high line capacity for long runs of the trophy fish you will be hunting. If you often find yourself wading out into the roaring surf to battle large and powerful species, this reel is for you. This saltwater spinner is extremely solid and is ready to tangle with large, aggressive, and powerful species. It’s mechanically seals 61.7lb, drag system, heavy duty bail wire, and one piece full metal construction will help anglers muscle in stripers, bluefish, tarpon, barracuda, pompano, redfish, and any other popular surf fishing quarry. 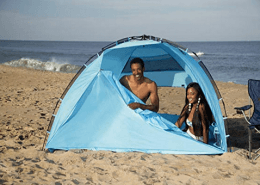 Meanwhile, features such as the mechanically sealed drag system make this real superbly resistant to water and sand damage, making it ideal for years of successful shoreline fishing. However, this reels features are not limited to only it’s power and durability. The sealed stainless steel ball bearings with infinite anti-reverse makes casting long distances possible and allows fast and smooth retrieval of lures and bait. Beyond the surf, this is also a great reel for inshore fishing as well. Drift as you drop in large live bait, or jig at a reef, wreck, or great piece of structure with this reel, and you’re ready to hook into something big and strong, and of course, land it! 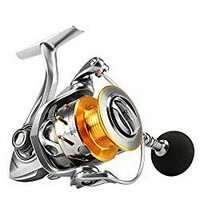 And to top it all off, you can do all this and still have one of the most modern and sleek looking reels on the beach making this one of the best lightweight saltwater spinning reel. It’ll make even the most seasoned anglers jealous. Whether onlookers are admiring your catch or your reel, you will surely stand out among all others with this purchase. 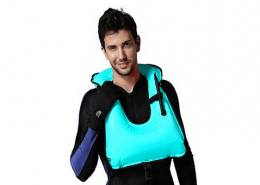 Made to withstand heavy surf and sand damage. Drag washers, carbon fiber kit, and powerful max drag make this perfect for trophy fishing. 6 sealed stainless steel ball bearings make this power reel also cast and work lures with surprising smoothness and finesse. The SeaKnight Rapid is one of the fastest and highest performance spinners on the market. Though it has many outstanding features, it is the unique high speed retrieve that makes this reel stand out from the crowd of similar offerings. This is a perfect addition to deliver and retrieve lures for bluefish, stripers, redfish, catfish, and of course your freshwater northern pike, and musky. It is a very versatile reel with the durability needed for many years of inshore saltwater fishing, but the finesse and speed needed for larger freshwater species as well. This reel was designed with special care put upon performance, including a 10 + 1 shielded stainless steel ball bearings, you can feel the difference such craftsmanship makes. There is nothing else to say but AMAZINGLY smooth and fast! 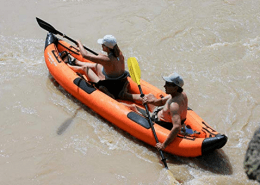 However, the Rapid is also well outfitted for durability. 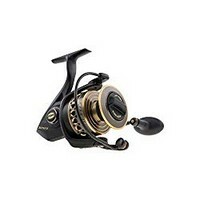 The entire reel is structured with anti-corrosive coating, and a sealed aluminum spool and rotor to prevent saltwater damage meaning this is one of the top inshore saltwater spinning reels. The thick main shaft and 15kg/33lb. drag system provide surprising power when a large saltwater sportfish, shark, or trophy musky pulls on the line. Overall, the Rapid will never disappoint for power and durability, and it sets itself apart from others with its unique smooth and fast action. The Penn Battle II is a superb reel for powering in large fish inshore, from the surf, or off the pier. The attractive reel from the legendary Penn line will perform well in all areas. It stands out in areas of power and durability making it a very good inshore spinning reel. If you desire strength, power, and reliability then this reel will be a great addition to your tackle. The full metal construction of the side plate and body along with its aluminum bail wire will give you optimal performance time after time, even after battling large fish that may stress other reels. The internal workings are covered in Penn’s characteristic grease which keeps everything functioning smoothly. Whether it is tarpon, pompano, jack, redfish, stripers, or blues – this is an ideal reel for powerful sportfish that strike hard, jump hard, and fight hard. 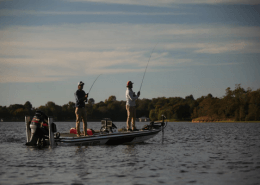 Despite being known for power, the Battle II has great performance, and features HT-100 carbon drag system, 5 stainless steel sealed bearings, and instant anti-reverse – all giving the reel smooth casting, smooth cranking, and great responsiveness. This reel stands out when fishing deeper and fighting longer than average. The superline spool has an exceptionally high capacity, and is marked at ⅓ and ⅔ intervals so you stay prepared as you jig a deep drop off, or a large beast of a fish tears off on a majestic run. 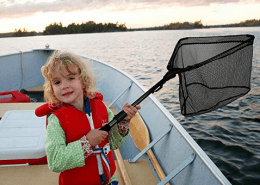 This capacity along with the power of the reel make it perfect for fisherman who seek large fish, and need a reel to deliver when they hookup on a truly magnificent giant. Very durable construction as the metal body, side plate, and aluminum bail wire deliver again and again. High capacity spool is great for deep fishing and powerful species. HT -100 carbon drag, stainless steel ball bearings and instant anti-reverse help give the reel good performance along with the power. This sleek, modern, attractive reel is a superb choice for light saltwater action and powerful freshwater species. The Baitfeeder features a high speed 5.5:1 ratio and a high capacity spool that helps reach and catch deep feeders and strong runners. The reel offers the perfect blend that makes it effective when fishing live bait for mackerel, blues, flounder, redfish, and stripers in the salt – but also perfect for large catfish, lake trout, pike, or musky in freshwater. 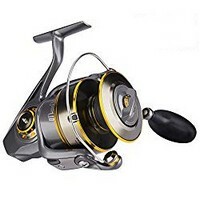 This reel is a tremendous value, as it features a number of high quality materials including TITAN graphite side plates, an aluminum spool, and left-right interchangeable handle. Yea, they didn’t forget about all you lefties out there. 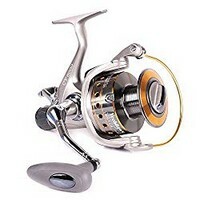 Included are 10 + 1 stainless steel bearings and oiled washers which make this durable and fast reel also smooth as can be. The high capacity and a unique fully free spool mode make it easy to allow big fish to take live bait as you get ready to set the hook, and also allow monsters to run without hurting the drag or gears. If you live for the anticipation of a giant strike as a big fish stalks your mullet, bunker, eel, clam, or shiner than you should buy this reel because it’s on of the best inshore saltwater reels. This is an overall attractive looking reel that blends speed, durability and beauty, as well as being a great addition to your reel selection. Very fast and smooth with a 5.5:1 ratio and 10 + 1 ball bearings. Huge line capacity and click off drag make it perfect for deep and far runs. High quality titanium and aluminum construction allow for great durability. High value selection with many features found only on more expensive brands.